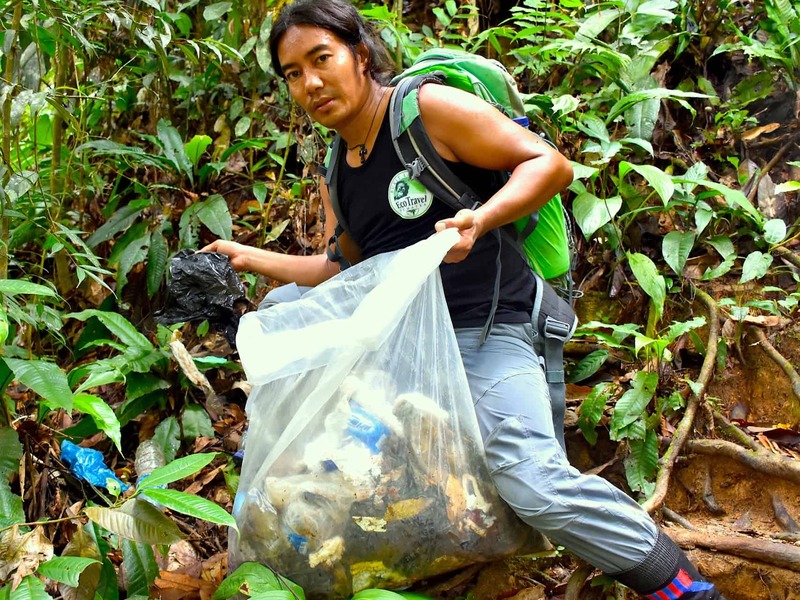 We offer tours, we love having guests! 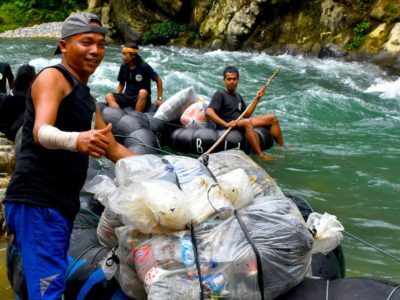 But it is essential to keep the impact of tourism under control. 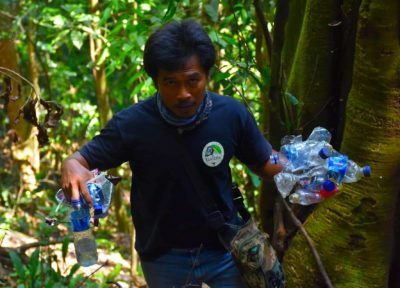 Hard to believe: more than 1150 glass bottles and 35 big bags full of garbage were collected in the jungle on just one day during a recent campaign by our EcoTravel team. 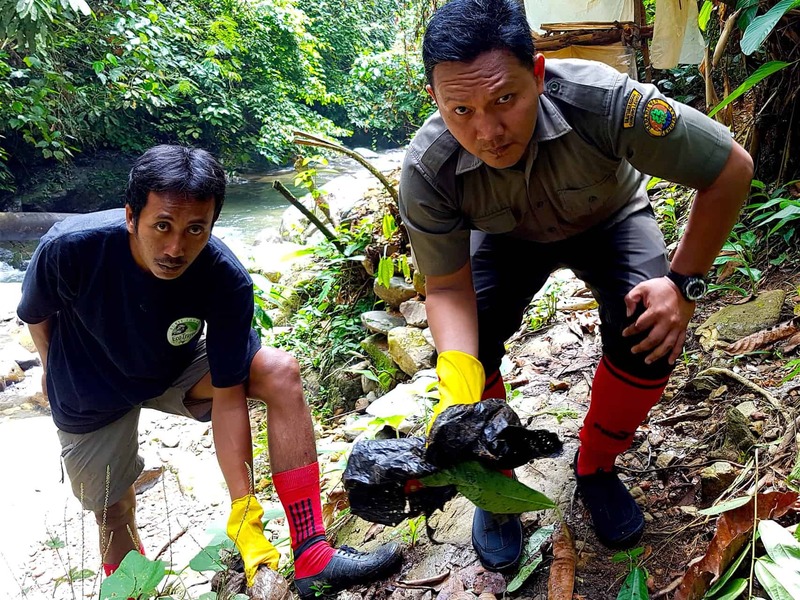 This amount of waste shows how essential our scheme EcoTravel’s “Keep The Jungle Green!” (founded by Kembar in 2014) has become to Gunung Leuser National Park. Nature gives us a lot and when you give something in return, the world around you just feels so much better – this was the starting point of our project. EcoTravel Bukit Lawang stepped into action to save mother earth. Adventure is the base of our activities, but fairness is our vision. 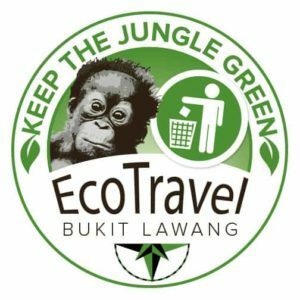 This is the philosophy of EcoTravel Bukit Lawang. And so our team always tries to find the perfect balance between keeping our tours attractive and conserving the nature. 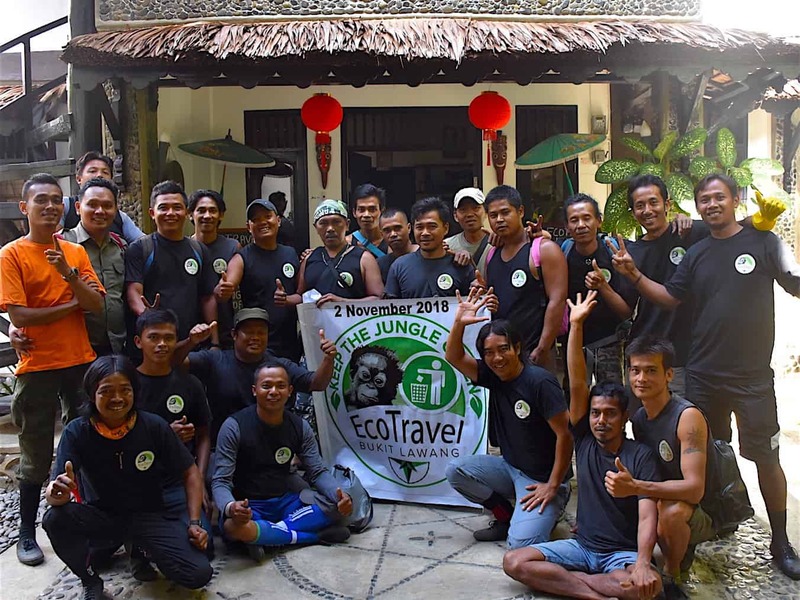 Due to its continuous efforts, EcoTravel Bukit Lawang was named “Eco Friendly Tour Operator of the Year” in the 2016, 2017 & 2018 Holiday & Tour Specialist Awards. 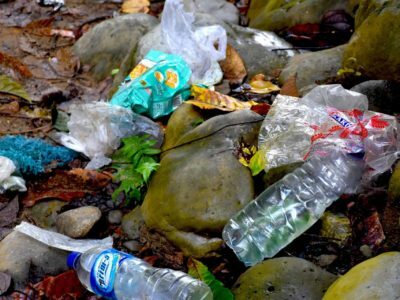 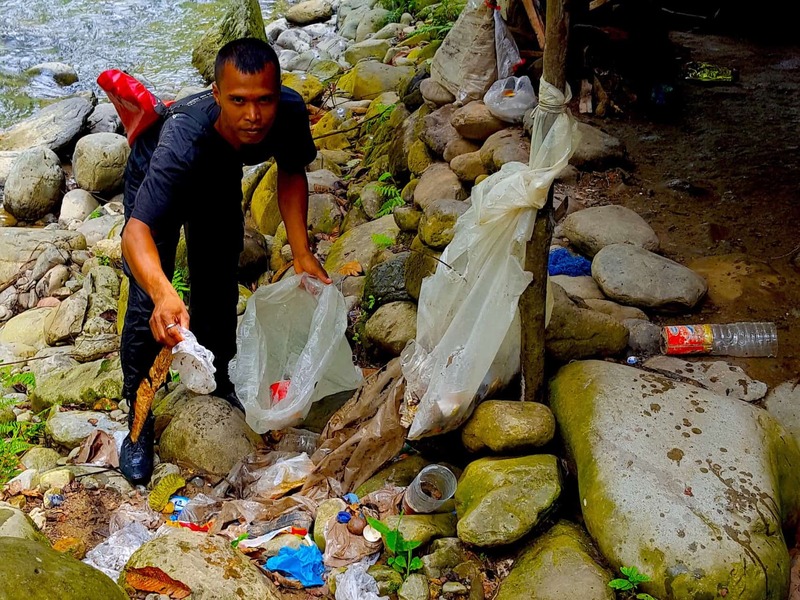 We can prove that we have cleared about 10.000 litres of rubbish – mainly plastic bottles and other plastic material – from the rainforest around Bukit Lawang. 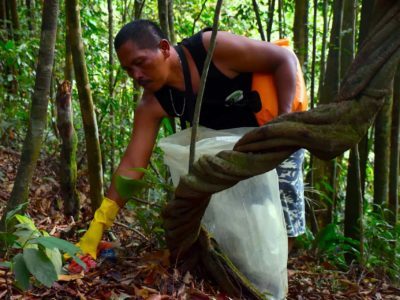 Please just imagine what the highly popular, fantastic jungle would look like without our cleaning project – and also keep in mind the sad consequences for wildlife. This is the mantra of our trekking tours intending to leave nothing non-organic behind. 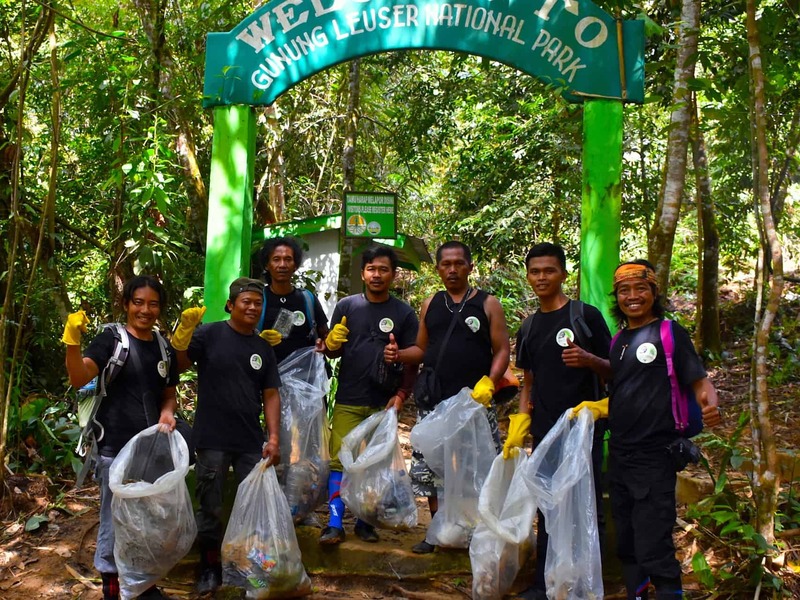 Our dedicated campsite team will clean the sites before our EcoTravel guests arrive and after they have left. On top of that our guides are meticulous about collecting all the garbage left behind by some other tour operators or individual travellers. 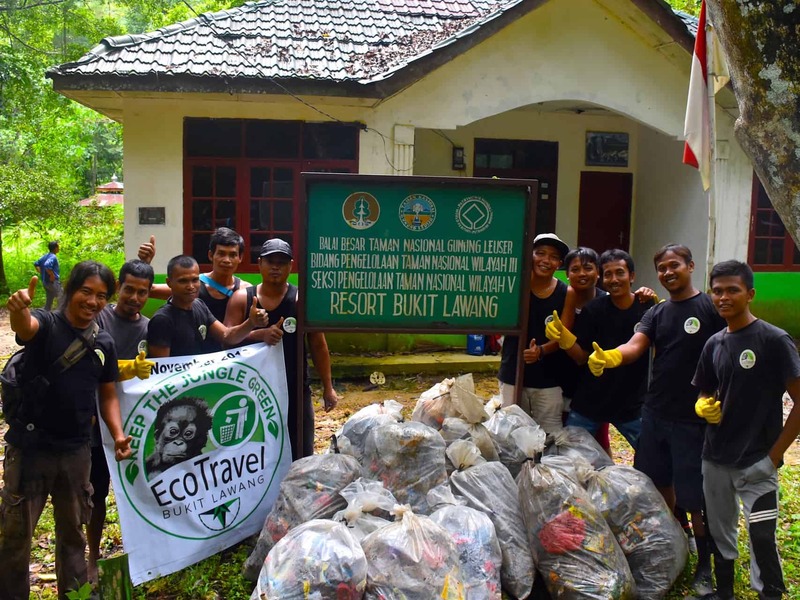 Which means that after each EcoTravel trek it’s not only the campsites which are free from garbage but the complete trekking trail as well! 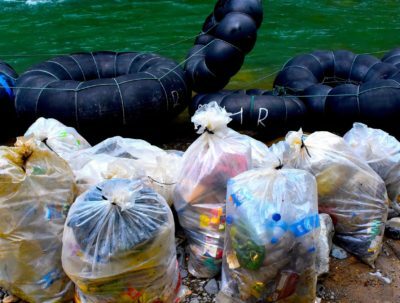 But we don’t stop here…! 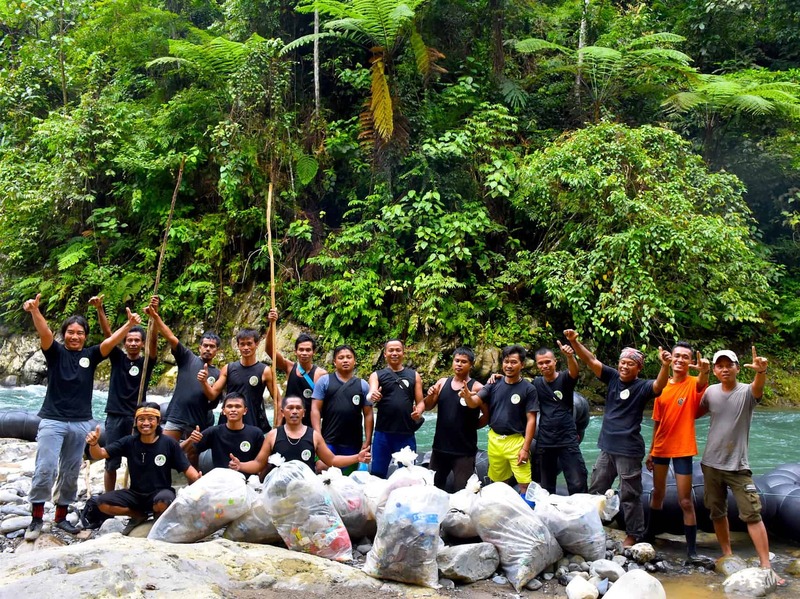 Twice a year, in May and November, EcoTravel Bukit Lawang spends a full day clearing waste from the jungle. 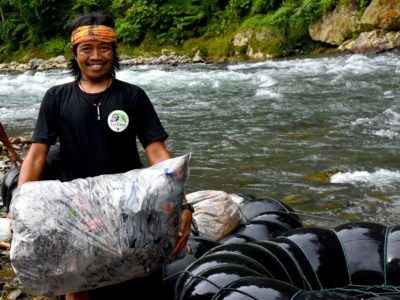 What had once started as a unique project by a few enthusiastic conservationists has grown into a big cleaning initiative. Up to 30 EcoTravel staff step into action on these special days of waste management, supported by a handful of people from the National Park Office in Bukit Lawang. 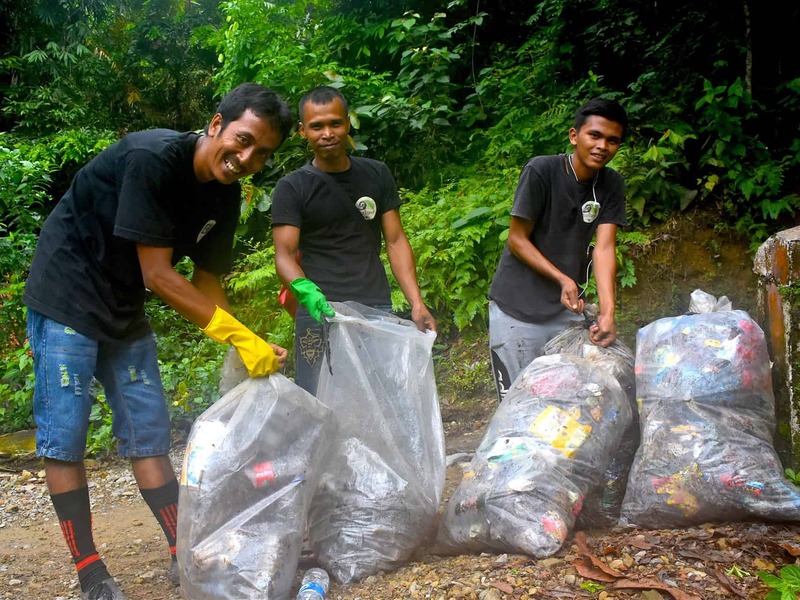 They split up into several teams to cover all the different trails used for our 1-, 2- or 3-day treks. 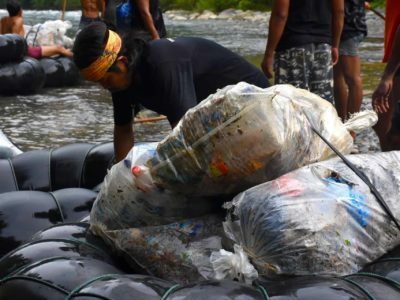 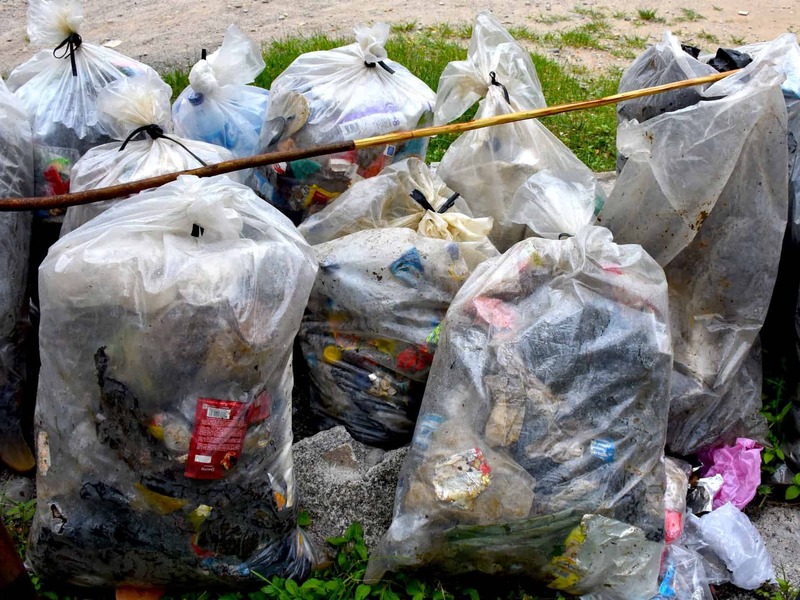 Well known campsites such as Aras Pinang, Batu Rongring, Batu Gajah, Batu Lintang, Ekor Rantau Panjang and Jambur Batu will also be swept clean from all the waste that could otherwise have a fatal impact on wildlife and nature. Our EcoTravel team covers all the cost to professionally and sustainably dispose of more than 80 huge bags of plastic waste every year, along with countless drink cans and more than 2000 glass bottles (mainly from beer, but accompanied by “international” spirits like whisky, vodka, rum etc.). 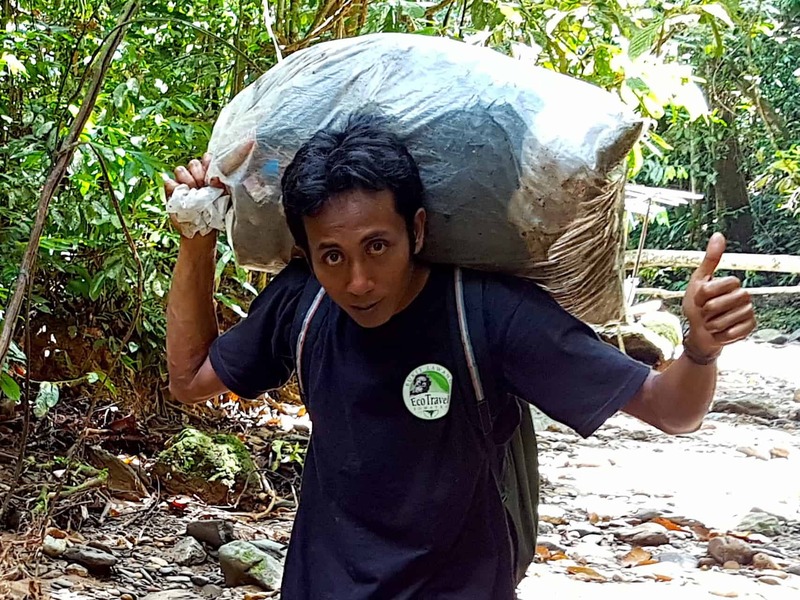 Up to date we are the only tour and hotel operator in Bukit Lawang to invest about 20.000.000 IDR each year towards a clean jungle. 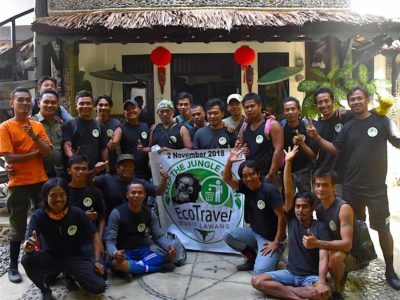 It is the support from ecologically responsible travellers that sustains our hugely important initiative “Keep The Jungle Green”. Every booking with our team contributes 1 Euro towards our cleaning project. 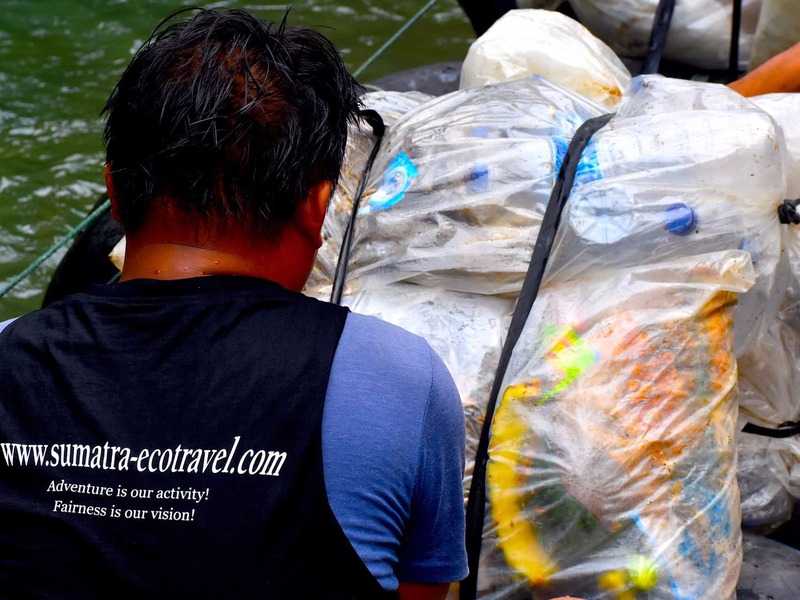 Let us take the opportunity and give a huge “Thank you” to our great EcoTravel guests! Together we can make this world a cleaner and greener place!